Kosovo's ethnic division will prevent Serbia from entering the European Union, according to a message coming from the European Commission. The announcement received mixed reactions among Serbian officials. The document also says that “addressing the problems in northern Kosovo, while respecting the territorial integrity of Kosovo and the particular needs of the local population,” will be an essential element on Serbia's way to the EU. Serbia's initial reaction to the document was negative, with Prime Minister Ivica Dacic being “upset” by its wording. But Enlargement Commissioner Stefan Fule, who arrived in Belgrade on Thursday, clarified the situation, explaining that the document was referring to the part of Kosovo that is ethnically divided between Serbs and Albanians. Dacic had previously made comments that the best solution for Kosovo would be dividing it into Serb and Albanian parts. On Thursday, Dacic said that his government was ready to reopen EU-brokered negotiations with Kosovo. Meanwhile Vuk Jeremic, Serbia's former foreign minister and the incumbent head of the UN General Assembly, says the Kosovo issue is a fully domestic issue for Belgrade. “When it comes to territorial integrity, as well as sovereignty, here in the UN we are worried about respecting the sovereignty of countries, of member-states. 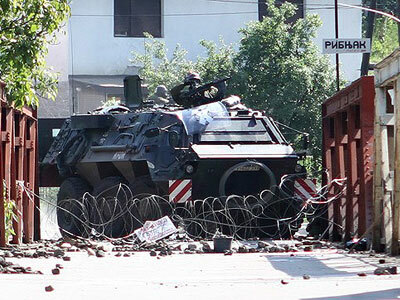 Serbia is one such member-state,” he told RT. Jeremic pointed out that Kosovo is not a member, while his job is to worry about the sovereignty and territorial integrity of UN member-states – including Serbia. “Kosovo is a Serbian internal affair, corroborated by the Security Council's parameters set out in SC resolution 1244,” Jemeric stated. 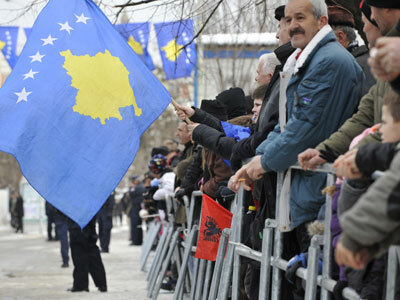 Once a province of the country, Kosovo, which has an ethnic Albanian majority, unilaterally broke away in 2008. 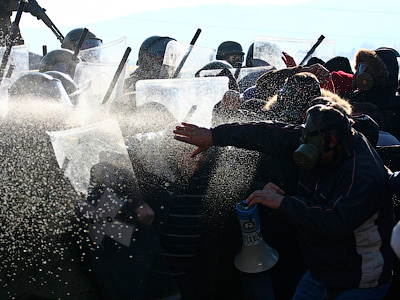 The north of Kosovo, which is heavily populated with ethnic Serbs, has become a locale for clashes ever since. Serbia has never recognized Kosovo's independence, while the majority of EU countries have. 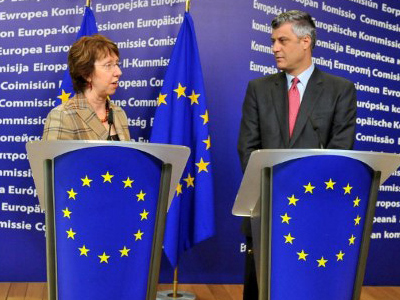 As such, the status of Kosovo has been a stumbling block on Serbia's way to the EU. 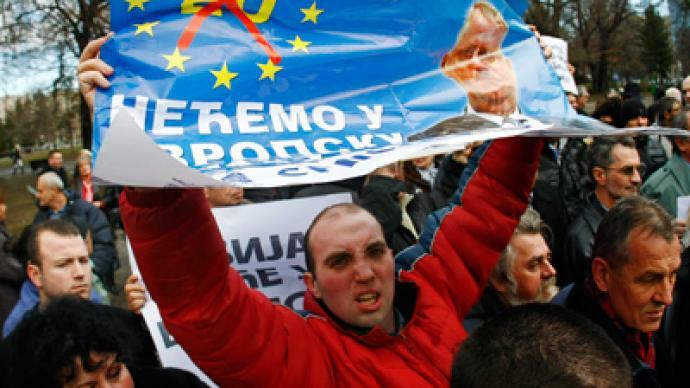 Serbia's application for EU membership has been turned down twice over the Kosovo question. Then, in early 2012, its status as formal EU candidate was finally verified by Brussels. The full version of the interview with Vuk Jeremic, the head of the UN General Assembly, is coming out on RT next week.